The “what?” and “why?” of who we are. PIER SIX PRESS is a letterpress and design studio located in our hometown of Bremerton, Washington. it’s a small nook of the northwest surrounded by the salty waters of the puget sound. We create cards, stationery, posters and art prints combining the best of 19th and 21st century technologies. We’re inspired by our community and the everyday moments that are deserving of recognition. we believe tangible connection is important in this digital age, and it is through those connections we can better relate through those around us. Each of our cards and art prints are hand fed through century old presses. Each color is applied separately. Pier Six Press also offers print and graphic design services, which can include but are not limited to - business cards, branding, personal stationery, wedding suites, baby announcements and invitations. Have something you’d like to work on with us? Drop us a line or check out our custom work page for more info on the process. Letterpress is a printing process that has been around since the middle ages. 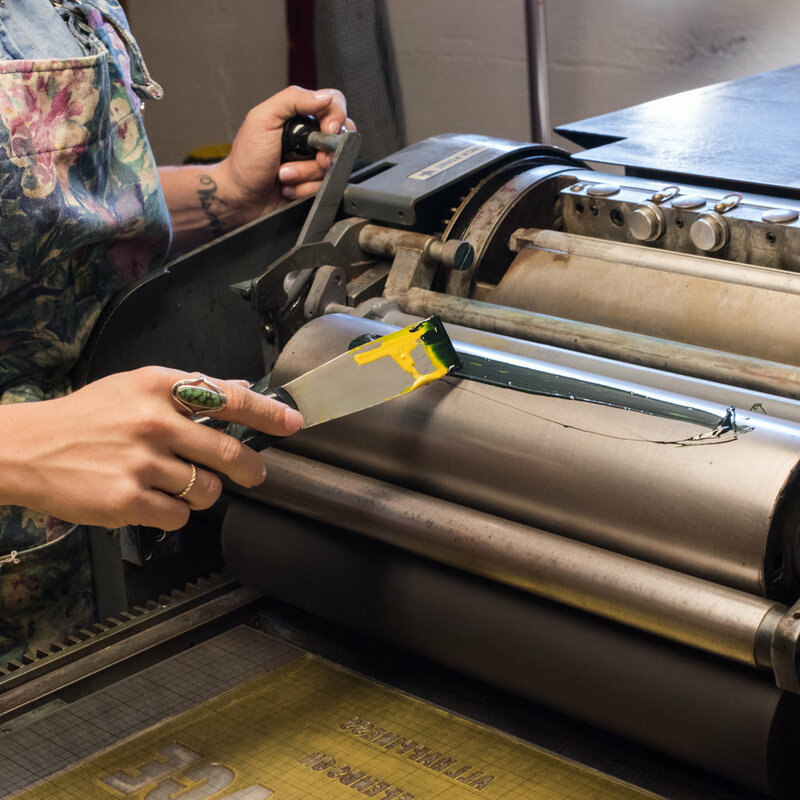 Once the standard for printing; metal or wood type is inked and pressed against paper. The technique produces an impression in the paper making it different from offset or digital printing. Each color is applied separately, some of our products go through the press five or six times. Letterpress is distinctive for its tactile quality and makes for a product guaranteed to impress. © 2009-2019 PIER SIX PRESS LLC, ALL RIGHTS RESERVED.